CC Miller, an accomplished beekeeper and author, invented the slatted rack in the early 1900’s after he noticed that the bee’s general well being seemed to improve when given extra space under the brood chamber. Originally, he built 2 inch deep bottom boards to create this space but quickly found that the bees would build honeycomb in it. Consequently, the slatted rack was conceived. It created a false bottom board, preventing the construction of extra comb, without compromising Miller’s idea of extra space. The same outside dimensions of a 10 or 8 frame beehive are used to construct the slatted rack except it is only 2 inches deep. A solid piece of wood in the front portion of the rack reduces drafts at the entrance. 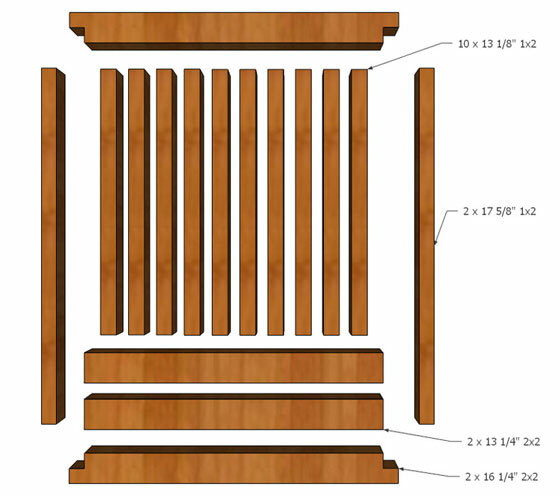 Slats, about the same width as a frame, compose the false bottom board. These slats are closer to one side than the other so that they are as close to the frames as possible. The beekeeper places the component in between the bottom board and the bottom hive body. The solid piece is the front and should face the entrance. The top, which is the side the slats are closest to, should face up towards the bottom of the hive body. When using this with a screened bottom board for varroa, remember that the slats need to be parallel with the frames and equal in number. If they run crosswise or you have 10 slats and 9 frames the mites won’t fall through your screen. However, used properly this tool can be a great benefit. The extra space produced by the slatted rack is said to keep a beehive warmer in the winter and cooler in the summer by creating dead air space. The dead air space works like insulation in a thermos which separates the inside temperature from the outside temperature. Thus, the outside temps have less of an effect on the inside temps and your bees (or coffee) will stay warm (or cool) longer and with less effort. Then, the honeybees have all that energy saved for something more important, like making honey! The added space also gives the bees an extra place to congregate so, when things get crowded in the summer, they have less of a tendency to swarm. It distributes the population and the heat in the hive more evenly which also reduces swarming tendencies. The slatted rack improves ventilation as well by giving the bees more space to do their fanning when it’s hot and reducing drafts when it’s cold. Lifting the bottom bars away from the light at the entrance and the drafty bottom board also seems to encourage the queen to lay to the bottom of the frames which, in turn, increases the brood chamber. Increasing the brood chamber would increase the number of bees and the strength of your beehive as well. 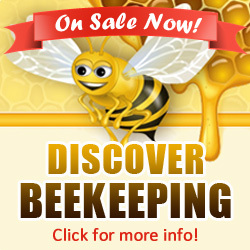 Other than the fact that it is only one more piece of equipment to have to buy, or make, and manage; it seems like a great addition to a beehive for any small scale beekeeper. Wouldn’t you be happy to have a large, protected front porch? Well, that’s basically what this does for your bees and I think it makes them happy, too. Here are some drawings to help you visualize what it should look like as well as dimensions to help you build one. The dimensions are for a standard langstroth 10 frame hive so you’ll have to adjust for whatever hive style your using. 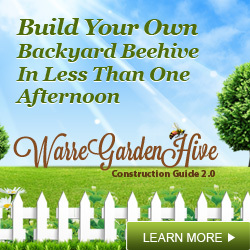 The basics are that it should be the same size as the hive and each slat should be placed under a frame. 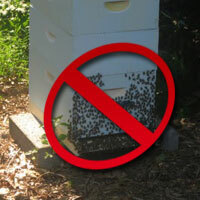 This prevents buildup on the rack and allows mites to fall through a screened bottom board. The unit goes between the floor and the brood chamber. The exploded view will give you an idea of what materials you’ll need to build it. You can use brad nails, screws, whatever your fastener of choice for putting everything together. I was not aware of this item. It sounds beneficial and I would like to build one, but I cannot decipher from your article enough info to build one. I cannot get a mental picture of what it would look like. Do you have a photo of one that you could share? I’ll make a drawing and post it this week. There’s a drawing at beesource but it has the slats running in the wrong direction. You want the slats running in the same direction as the frames. So the screen board goes below this. Why dont the bees build comb in this? Hi Therese, yes it goes between the floor and the brood box. There isn’t enough open space between the slats to interest the bees in building comb. You might get a little burr comb here and there but it won’t be too bad. Great article, are these available for purchase if we do not want to build one? I like this idea I see how that front baffle will help to get cooling air into the center of the hive, but I have one concern for winter time. It looks like the air will flow into the front bottom of the hive, under the front “baffle” of this board (if the first few pieces of wood on south end of the diagram are the front of the board), up through the slats, into the center of the hive and right over the cluster before it exits out the upper vent at the top of the hive. If so, it might steal a lot of warmth from the winter cluster. I try to get the air to go up the front of the hive and out the top, front exit (notch in bottom of inner cover) so that it doesn’t chill the cluster but still takes out the moisture. In the summer I turn the inner cover over so the air flows up through it’s center before exiting thereby cooling the hive better. Can you help me understand the winter ventilation with this rack in? In various drawings of the slatted rack on a number of websites, I have seen the slats anywhere from 3/8″ or 3/4″ thick to the thickness of the outside of the frame. In first one that I built , my outside frame is made with 3/4″ stock, the same as the supers, the front 4 inch board was planed to 3/8″ thickness and my 10 slats are 3/4″ x 3/8″ thick. 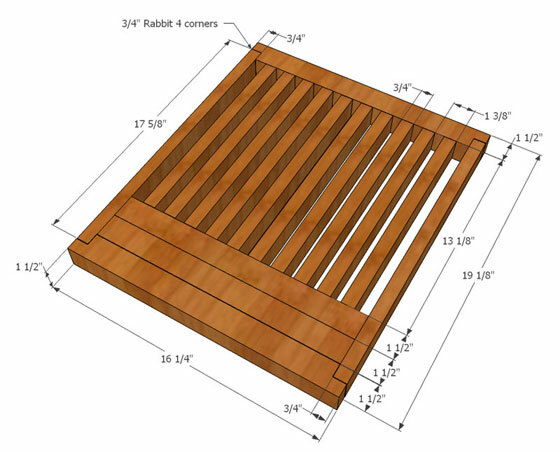 The 4 3/8″ board sets in 3/8″ deep dado, 3/16″ below the top of the frame as does the slats. In the back frame board there is also a 3/8″ deep dado, 3/16″ below the top of the frame. The front side also has the 3/8″ deep dado the wide of the front board. The curved left in the dado on the side boards were squared off with a chisel. As a Workworker, why is there such a difference between slatted racks with the slats? Hi David, I think there is a big difference because what we’re really looking for here is a dead air space for insulation. The thickness of the rack isn’t set in stone so there will be some variation from one woodworker to the next in thickness. I built mine with 2×2’s because they are easy to get and really inexpensive. 🙂 I’ve also seen some beeks cross the slots against the frames, a mistake in my opinion. Especially if you have SHB. I spaced my slats so that the slats would be directly under the frames, this helps keep the hive clean. Nick, I am going to rephrase the question. Which thickness of the slats provides the best dead airspace, the thin slats or the thick slats? My 10 slats run from front to back in line with the frame/foundations. To be honest David I’ve never done any testing to try and find the optimum thickness for the slats. And I haven’t come across any other websites that have tested this either. If you happen to run across anything let us know here. Otherwise it sounds like a fun summer project in the making. So I put one of these together with a lot of help and we have found that some of the dimensions are off here and some are different in the exploded vs put together view.